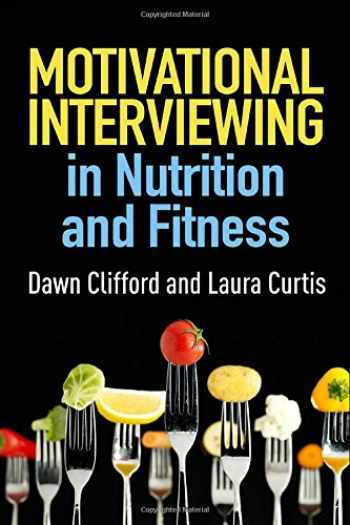 Acknowledged author Dawn Clifford PhD wrote Motivational Interviewing in Nutrition and Fitness (Applications of Motivational Interviewing) comprising 276 pages back in 2015. Textbook and etextbook are published under ISBN 1462524184 and 9781462524181. Since then Motivational Interviewing in Nutrition and Fitness (Applications of Motivational Interviewing) textbook was available to sell back to BooksRun online for the top buyback price of $8.24 or rent at the marketplace. Making and maintaining lasting changes in nutrition and fitness is not easy for anyone. Yet the communication style of a health professional can make a huge difference. This book presents the proven counseling approach known as motivational interviewing (MI) and shows exactly how to use it in day-to-day interactions with clients. MI offers simple yet powerful tools for helping clients work through ambivalence, break free of diets and quick-fix solutions, and overcome barriers to change. Extensive sample dialogues illustrate specific ways to enhance conversations about meal planning and preparation, exercise, body image, disordered eating, and more. Reproducible forms and handouts can be downloaded and printed in a convenient 8 1/2" x 11" size. Instructors requesting a desk copy from Guilford will be emailed a link to supplemental PowerPoint slides and exam questions. This book is in the Applications of Motivational Interviewing series, edited by Stephen Rollnick, William R. Miller, and Theresa B. Moyers.